Being There was released in October of 1996 and I saw Wilco live for the first time a month later at Mercury Lounge for a show that would change the course of my musical life. Like many of the attendees of this year’s Solid Sound Festival, I’ve seen Wilco probably more than fifty times in a variety of locations. I’ve seen multiple shows supporting all of the albums of their career, I’ve seen acoustic sets, many guest appearances, the all-covers set. I’ve seen them play in small halls, big halls, theatres, baseball stadiums, a brewery, festivals, and even at Madison Square Garden. But the seminal event of seeing and hearing the band close-up play brand new Being There songs was an experience that took me down this path and permanently affixed those songs to my psyche. 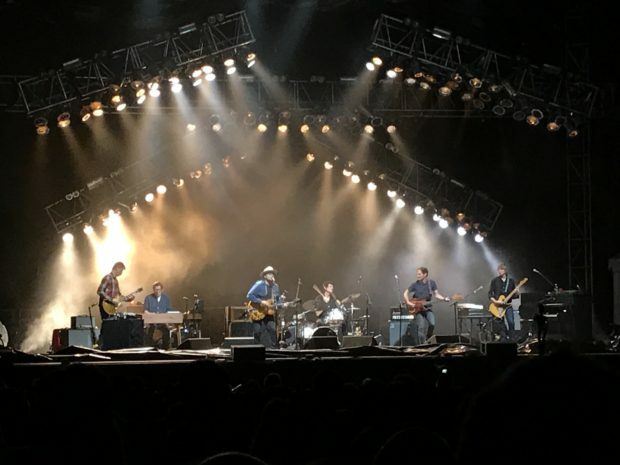 Twenty-something years later, Wilco delivered on the now-traditional (2013-all covers, 2015-all acoustic) Solid Sound Friday request set by playing the album straight-through. It says something about the staying power of the material that almost all of these songs are either still set staples or occasional plays for the band’s “regular” shows. But hearing the material in sequence brings me back to the cramped confines of Mercury on that chilly November night and reminds me why I still go to such lengths to see Wilco. But oh, if the Being There performance was all you expected from Friday night’s set, the “encore” segment was a huge Wilco curveball. Upon returning to the stage, the band jumped into “I Am Trying to Break Your Heart”, a not uncommon encore song. And then kept playing — the entire Yankee Hotel Foxtrot also in its entirety. Its took the opening notes of rarely played “Radio Cure” for our correspondent Gr8fulPete to recognize what was happening, but when it dawned on the crowd you can hear the shock and utter surprise of those witnessing this encore set for the ages. Pete also recorded Saturday night’s set and the Sunday Tweedy & Friends set and those will be coming to the site in the coming days. Pete recorded this show with his high end Neumann cards from directly at the soundboard cage area and the sound quality is outstanding. Enjoy! Thanks so much for taping & sharing. Really looking forward to hearing the full show. Interested to read his comments on Saturday’s set. I’ve seen Wilco over 20 times, Saturday’s ranks in my top 5. Thank you!!!!!!! I can’t wait to relive it. Thanks,this is great. I was there. I may have met you as I volunteered and was blanket and chair police up near stage. I met a couple of tapers left of soundboard.Top 5 Wilco show for me. The all covers show 4 years ago is up there too. Thanks for recording. 1st time at solid sound. Magical weekend! I saw the same Being There shows at the Mercury Lounge (Dec 2 and 3 1996 and I have the 12/2 show if you’re interested) and my life was changed the same night. I agree with someone’s comment that Saturday was a pretty amazing set list for a ‘regular show’. Unforgettable night of music and great recording! Nice work Pete! Thanks for the post. A ‘Solid’ Neumann capture! 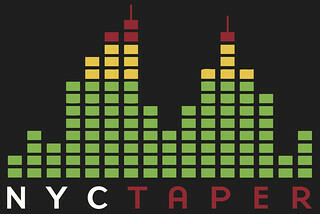 Will nyctaper host the incredible set from Television?? Or Dave & Phil Alvin with the Guilty Ones?? Pretty incredible weekend of music. Thank you for your post/recordings. you mention that you plan to post recordings from Sunday Tweedy show as well? I had to head out early so I missed it. Love to hear it. Do you still plan to post? THANK YOU! Tweedy solo is coming very soon. 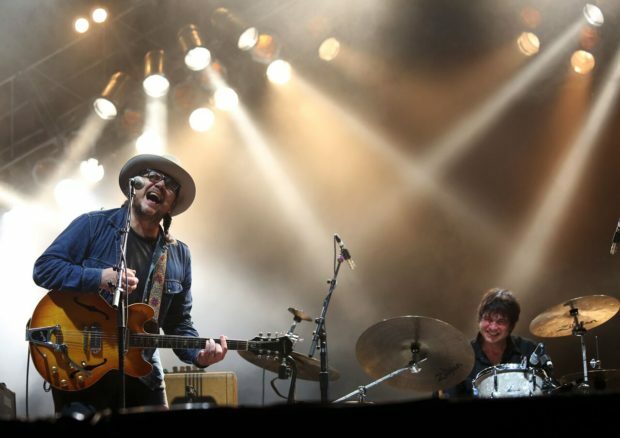 Will the Saturday Wilco set still be coming? :) Thank you for this excellent recording.